Opportunity Zones are the latest tool to spur local investment for our local government partners and DFI is ready to help. The Opportunity Zone (OZ) program, created as a part of the federal Tax Cuts and Jobs Act of 2017, aims to encourage private investment in low-income communities. There are 252 census tracts in North Carolina designated as OZs. 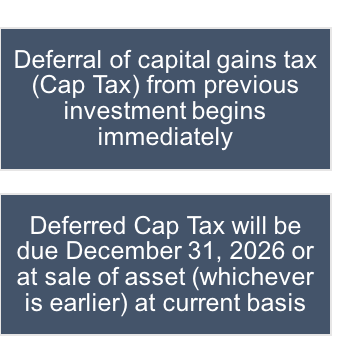 Investors receive tax benefits for reinvesting capital gains into designated OZs. Real estate development projects make ideal OZ investments due to the long hold periods required to take full advantage of the federal tax benefits. The most strategic local governments will identify attractive development opportunities, make them “investment-ready,” and market them to as many OZ investors as possible. The development experts at the Development Finance Initiative (DFI) have successfully attracted private developers to dozens of North Carolina projects since 2011. OZs are simply the latest tool to spur local investment for our local government partners and DFI is ready to help. How can local governments attract Opportunity Zone investors? market them to as many OZ developers and investors as possible. DFI has worked with over 75 local governments since 2011 to attract private investors for transformative projects, so DFI is accustomed to performing these steps for local government-controlled property. DFI also stands by its local government partners until the investment closes. When should local governments act? A full pre-development process will typically take at least 6 to 12 months. 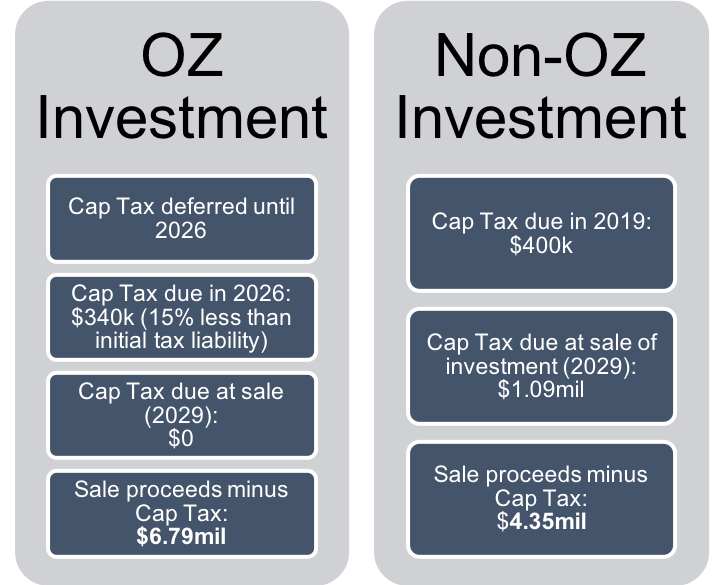 DFI recommends that local governments begin pre-development activities for OZ projects as soon as possible to maximize the value an Opportunity Zone designation can provide to investors. 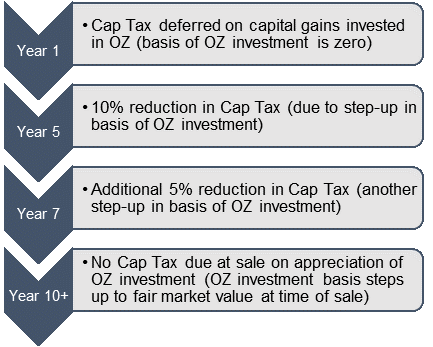 Because of the timing for tax basis changes and the payment requirement for deferred Cap Tax after 2026, equity invested in OZs before the end of 2019 will receive the greatest tax benefit. Therefore, projects that are ready for investment by the end of 2019 will be most attractive to investors. How will Opportunity Zone investments function? Where does DFI come in? DFI’s pre-development process includes in-depth market, site, and financial analyses, identification of potential development partners, and guidance on structuring public-private partnerships. This pre-development process pairs well with the OZ program and can allow local governments to create investment opportunities with transformative community impact. The Opportunity Zone program is a new way to incentivize investment in communities across the state. For most communities, the designation of an Opportunity Zone, on its own, may not spur development activity. DFI can help local governments develop strategies to not only attract investment, but to create projects that achieve local goals. For more information about Opportunity Zones and how DFI can help your community prepare for OZ investors, contact Sarah Odio at odio@sog.unc.edu (link sends e-mail). The Opportunity Zone program is a new way to incentivize investment in communities across the state. For most communities, the designation of an Opportunity Zone, on its own, may not spur development activity. DFI can help local governments develop strategies to attract investment for projects that achieve local goals. To learn more about how DFI can position your community for strategic Opportunity Zone investments, contact Sarah Odio at odio@sog.unc.edu (link sends e-mail). The Development Finance Initiative (DFI) at the UNC School of Government is a group of developers, designers, and experts in the fields of development finance, law, planning, and public engagement that works across the state of North Carolina to create win-win partnerships between local governments and private developers. Since its founding in 2011, DFI has partnered with more than 75 cities and towns to design and attract investment for development projects that accomplish local goals. Its clients include some of the state’s largest cities as well as its smaller towns. DFI is particularly engaged in North Carolina’s booming metro areas, with five projects now in progress in Greater Charlotte and three in the Raleigh-Durham area. DFI performs a unique pre-development process which includes in-depth market, site, and financial analyses; identification of development partners; and guidance on structuring public-private partnerships. Through this process, local governments create attractive investment opportunities with transformative impacts for their communities. DFI currently has eight pre-development projects in Opportunity Zones, valued at $800 million at full build-out, and is working with another eight communities with Opportunity Zones in their jurisdictions. DFI projects are especially well-suited for Opportunity Fund investors. As compared to other investments, real estate investments tend to have lower risk and longer hold periods, making them especially well-suited for the incentive structure of the Opportunity Zone program. DFI projects are unique in that they are locally initiated and have strong local support. Investments in such projects are more likely to have positive impact in the communities that need them most. Investors interested in community-driven projects should contact Sarah Odio at odio@sog.unc.edu (link sends e-mail), to learn more about our services and areas of expertise. In 2015, the City of Kannapolis, located 25 miles north of Charlotte on Interstate 85, purchased 50 acres of prime but distressed downtown real estate—all now located within an Opportunity Zone—including its historic main street, directly adjacent to the North Carolina Research Campus, a burgeoning partnership between UNC, Duke, and a number of private research entities to "transform science at the intersection of human health, nutrition and agriculture." The City partnered with DFI to create a financially feasible redevelopment plan driven by public-private partnerships. The plan includes the creation of 1,500 new residential units, 50,000 square feet of retail space, 90,000 square feet of office space, and 75 hotel rooms in downtown over the next decade. The first phase of private development, a 275-unit multi-family mixed-use project and public parking deck, will break ground in 2018, with an estimated investment of $45 million. To spur further investment, the City has broken ground on a $50 million sports and entertainment venue in the heart of downtown that will open in spring 2020. The City is also constructing a linear park and streetscape, replacing sewer and storm water lines, and burying power lines. To facilitate the relocation of a local minor league baseball team into its downtown area, the City of Gastonia, which is 20 miles west of Charlotte, acquired 16 acres and two historic buildings. 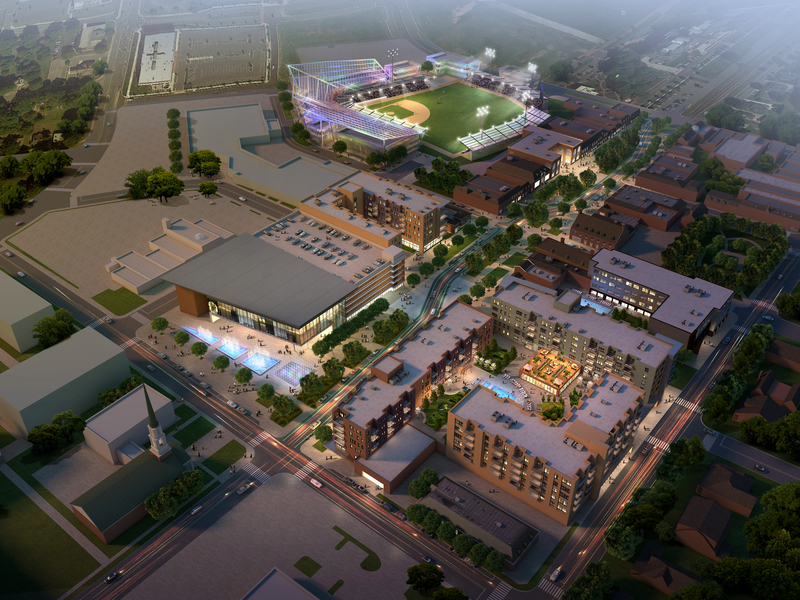 Dubbed the “Franklin Urban Sports & Entertainment (FUSE) District,” this innovative project is located between Gastonia’s downtown and its Loray Mill District, an historic mill village that includes the Loray Mill, a recently redeveloped 600,000-square-foot mixed-use project. The ballpark will occupy approximately 8 acres of the 16-acre FUSE tract; the remaining 8 acres is poised to receive more than $50 million of private investment, which will be deployed to create a mix of products, including multi-family, commercial, and hospitality spaces. The first phase of private development will involve the adaptive reuse of the 1897 Trenton Mill, which is adjacent to the ballpark. In July 2018, the City will select a private partner to develop the $14 million project, which will include approximately 75 residential units and 1,800 square feet of commercial space. Broughton District is a 10-year vision plan for an 800-acre mixed-used development in Morganton. The entire site is situated within an Opportunity Zone and is currently under public ownership. The site is nestled in the foothills of the Blue Ridge Mountains, next to national and state parks. It is easily accessible from Interstate 40, within a mile of Morganton’s vibrant historic downtown, and boasts vistas that overlook an internal valley cut by Hunting Creek. 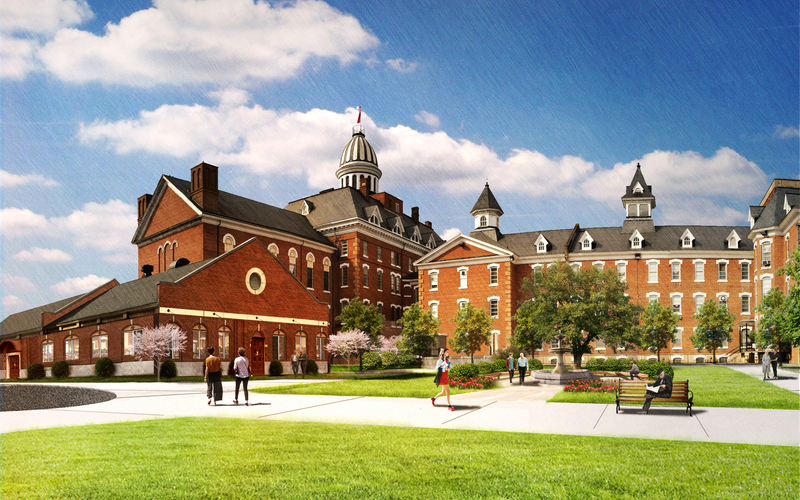 The district offers 800,000 square feet of historic buildings that are situated on the high points of the property. The Broughton District vision plan, developed by DFI in cooperation with both the State and the local government, calls for $14 million of public investment in parks, greenways, and trails within the district. This public investment is intended to serve as a catalyst for $180 million of phased private development (historic adaptive reuse and new construction), including single-family residential; multi-family residential (for-sale and rental); hospitality (highway-oriented hotel, boutique spa/conference hotel); destination retail; and active adult living. Concord, with a population of 90,000, is located less than 30 minutes north of downtown Charlotte and less than five miles off Interstate 85. The majority of Concord’s downtown lies within an Opportunity Zone. The city’s population has grown by roughly 14 percent over the past six years and is projected to continue to grow rapidly. Concord is home to a beautiful, historic downtown that serves as a cultural, commercial, and civic hub for the city and county. 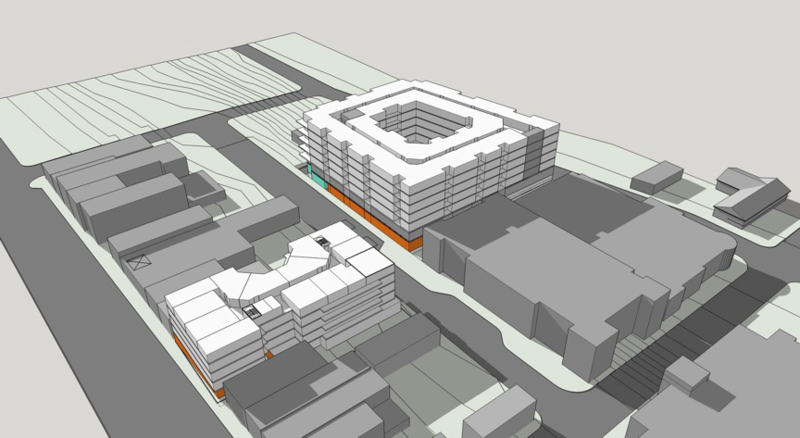 DFI partnered with the city to develop a proposed Downtown Concord Project. This urban infill development program includes 201 residential units, 11,000 square feet of retail and office space, and structured parking. This project meets an established public goal of increasing the amount and diversity of residential options in downtown Concord. In April 2018, the city council approved moving into exclusive negotiations with a private developer to pursue a development agreement with the city. It is anticipated that the agreement will be finalized in late summer of 2018, and the project will break ground in 2019. Durham County is evaluating the redevelopment potential of two properties on East Main Street, one of which is located in an Opportunity Zone. Redevelopment of this four-acre surface parking lot will be supported by the construction of county-owned parking structures. Multiple development plans are currently under consideration. All feature a mix of market-rate and affordable multi-family residential, office, and retail.